For the new 24 GHz frequency (24048 MHz) of the beacon at Schiphol I build a OCXO designed by G8ACE. A quartz from KVG was used and I found very bad results with strong jitter and frequency jumps. After a few weeks the jitter and jumps where still present and I decided to order a new quartz. This was ordered from Klove and after about two weeks I received this quartz. This quartz was not behaving as wanted and also gave much jitter. The jitter was audible and gave much drift. The jitter from this setup was measured and can be seen in the photo below. We see jitter up to 200Hz (measured on 24 GHz) and jumps of 200 Hz. 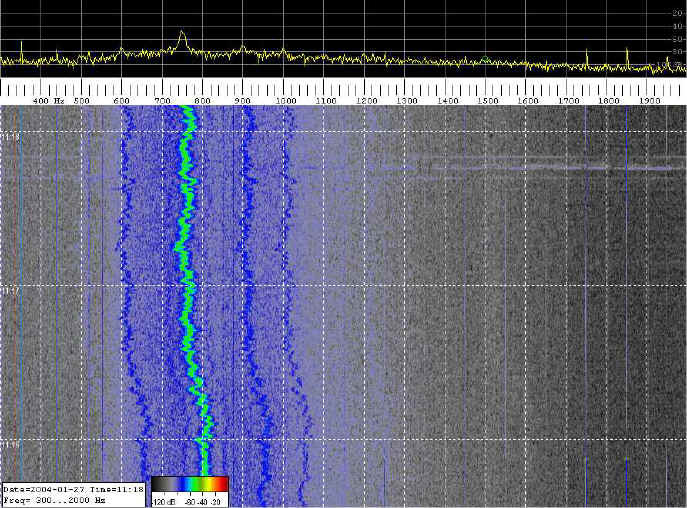 Over longer periods the frequency was just to unstable for use as beacon. I must admit that the frequency of the beacon before was not that stable but OK I also wanted to improve the performance with the change to the new frequency. 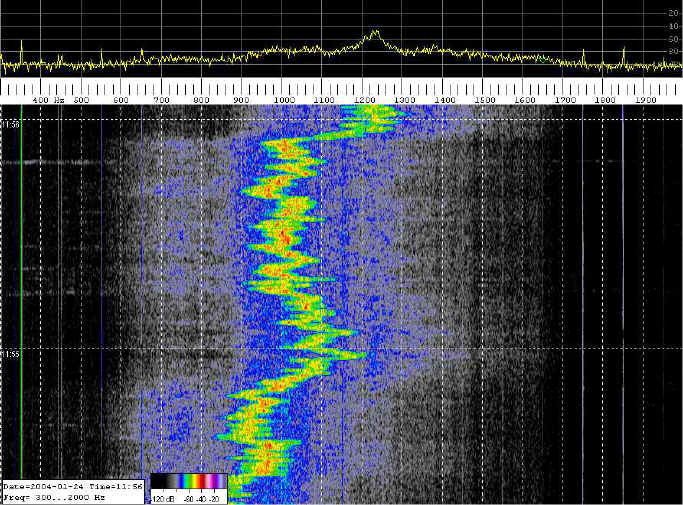 In this plot it is remarkable that the jitter seems to be caused for a low frequency oscillation of about 2 Hz. This LF oscillation could not be caused by the quartz so I suspected the OCXO circuit. After this I tried some modifications to the design from G8ACE which resulted in a better performance, see photo below. The improvement is significant as is visible in the graph compared to above. This result was reason for John G8ACE to publish the changes for modification for jittering quartzes. With the same method as G8ACE uses I measured the second quartz in the modified OCXO, see below. This result is much better than before but John showed some graphs with even much better performance than this so after some days I still was not quite happy with it. Then I decided to contact Klove and tell them about the problems I encountered and after some possible solutions we decided to try and build a new quartz with hopefully a better performance. Normally Klove makes quartzes with a surface roughness up to 3 micron. For the new quartz a surface roughness off 1 micron was made. After two weeks I received the quartz and build it in the modified OCXO. The quartz drifted much during the first 24 hrs but already after about 4 hours it became visible that jitter was very little and far much better then the quartzes I used before. see fig below. The jitter in the graph below is a result of two Klove quartzes measured after multiplication of 288 on 24 GHz frequency. Performance is within 20 Hz jitter over a period of more than 4 minutes. Building more OCXO's and ordering more Quartzes. Now we are trying to order more quartzes with these improved specifications and try to find out if this results in the same performance as I got from the new quartz. If you want to order a quartz from Klove like this one, ask for low jitter performance, a surface roughness off 1 micron, 5ppm stability and an oven temperature of 60 degrees. Normal specification I order is HC49u with 5th overtone, serie resonant and then offcourse the wanted frequency. We still don't know if other quartzes with this specification will give similar performance as I got but we sure have a good chance that it will and get high stable performance of our microwave oscillators. For the OCXO design from G8ACE and the possible changes I would like to you to follow the link to his site.